Sunday November 26th marked the 9th edition of Ironman Cozumel. For Michael Weiss, SRM's Pro Triathlete, it was his fifth year racing the full distance Ironman in Mexico. With two wins, a third and fourth place finish on the island, he was confident in wrapping up the 2017 season strongly. Race morning brought typical Cozumel conditions; hot, humid, and windy, and ~1,800 participants lined up for the 2.4 mile ocean swim, 112 mile bike, and 26.2 marathon run. 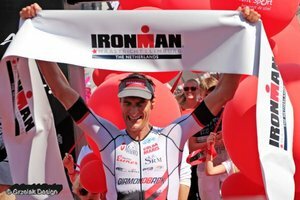 Michi Weiss Wins Ironman Maastricht 2017 in Style! On a perfect race day Sunday August 06, just five weeks after a strong 5th place finish at his home race in Austria, SRM sponsored triathlete Michi Weiss stormed through the field to win his first Ironman Maastricht and in so doing became a 4-time Ironman champion. 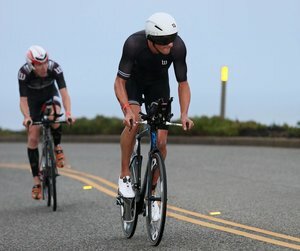 In this article I want to look at this impressive win in more detail and outline some of the key pro tips that the ambitious age group athlete can take away. 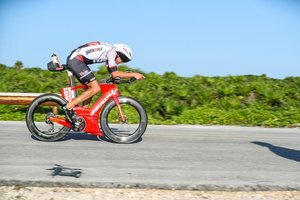 On Sunday 27th November, in his 4th consecutive Ironman Cozumel, (having already won the event twice previously and placed 3rd last year), SRM sponsored triathlete, Michi Weiss put together his fastest ever swim/bike combo, as well as a sub-3 hour marathon, to come home in 4th place overall. Another great end of season result, made especially sweet by the fact that he finished it off with yet another fastest bike split to add to his collection and the Cozumel bike course record – happy athlete, happy PowerMeter and bike sponsors! In this article I will examine Michi’s SRM power file and offer some suggestions as to what age group athletes can glean from what is, after all, a jerky line on a graph – trust me though, there is plenty! 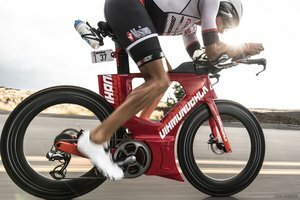 Michi Weiss Powers to 3rd Fastest Bike Split on the Big Island When SRM sponsored pro triathlete Michi Weiss’ alarm went off at 3am on 8th October 2016 signaling the countdown to the 0625 pro start of the Ironman World Championship, he was not expecting the day to unfold in quite the way it did! At least the Kona weather was predictable, if not the racing. The infamous heat and crosswinds were ever present, even if the day’s peak temperature was around 3C lower than in 2015 - when north of 34C with 80% humidity, lets not split hairs, it’ s still hot! 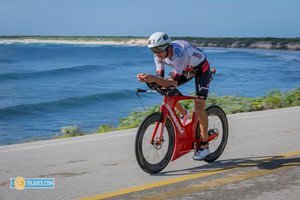 Michi Weiss Cruises to Victory at Ironman 70.3 Santa Cruz 2016 Garth Fox, Sports Scientist & High Performance Coaching SRM sponsored professional triathlete, Michael Weiss, is powering through 2016! On Sunday the 11th September he dominated a stacked field to win his first Ironman 70.3 event in Santa Cruz, California and in doing so racked up his third consecutive fastest race bike split since mid June with IM 70.3 Boulder, IM 70.3 Timberman and now IM 70.3 Santa Cruz. Clearly his training has been going very well this year, his equipment is dialed and this year’s ‘Road to Kona’ is very much on track. In this article I want to unpack Michi’s SRM race file and also now that we are at long last seeing more of the sports’ top athletes opening up their training and racing power files for us via the likes of Strava, I want to use some of those to make some interesting observations on race strategy. There should also be plenty here for age group athletes to take away and incorporate into their own triathlon preparation – understanding and using power to improve performance really should be as simple and straightforward as can be.